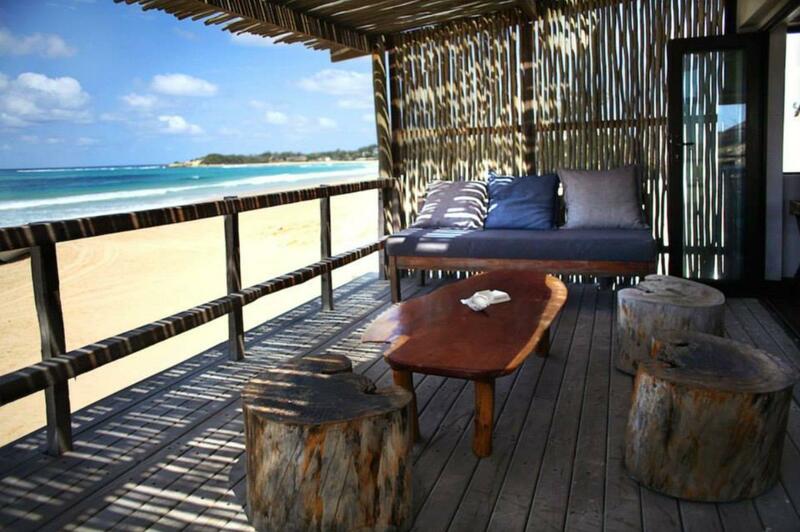 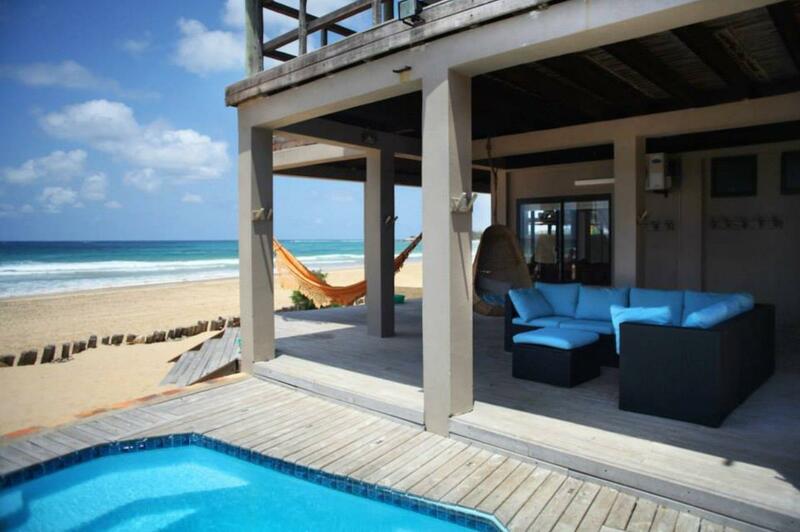 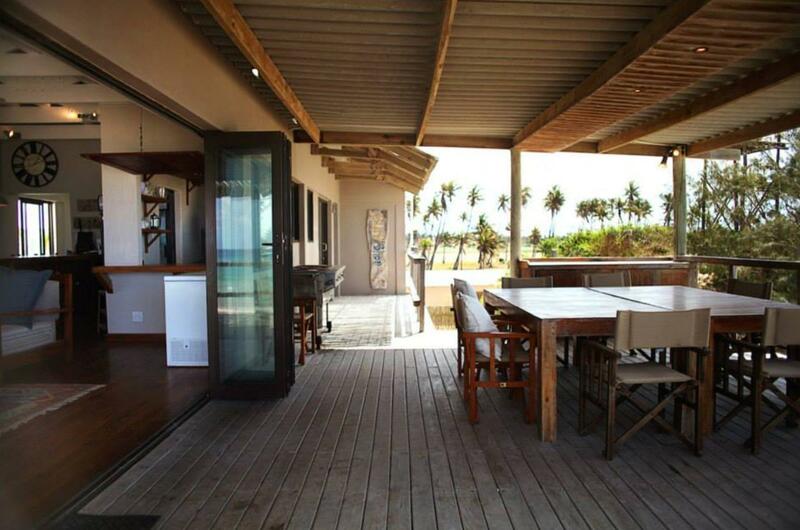 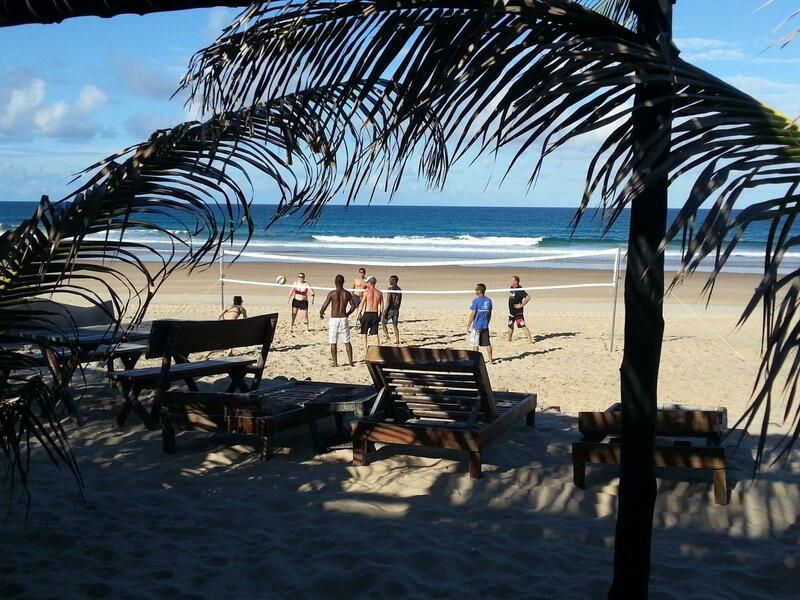 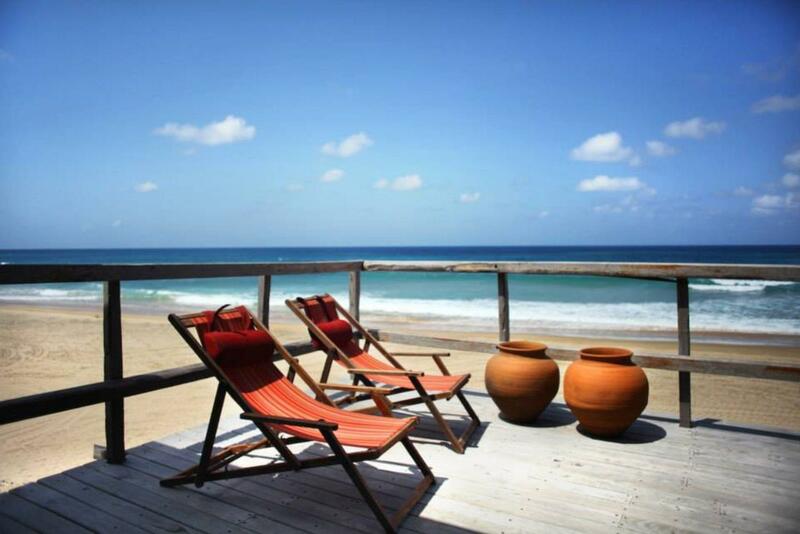 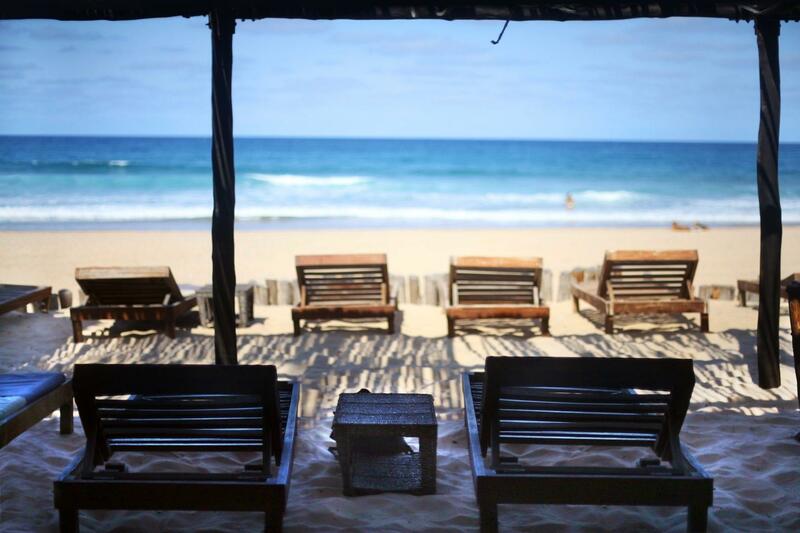 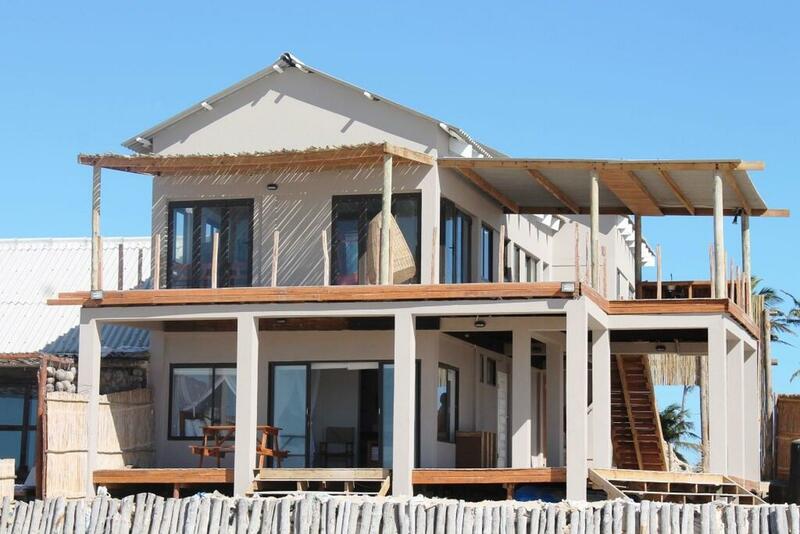 Corasiida Guest House is located on Tofo Beach, along Mozambique's beautiful coastline. 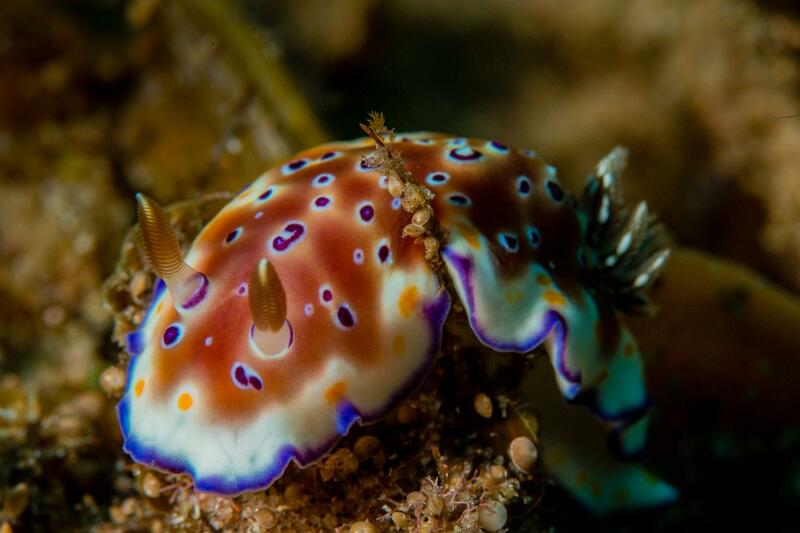 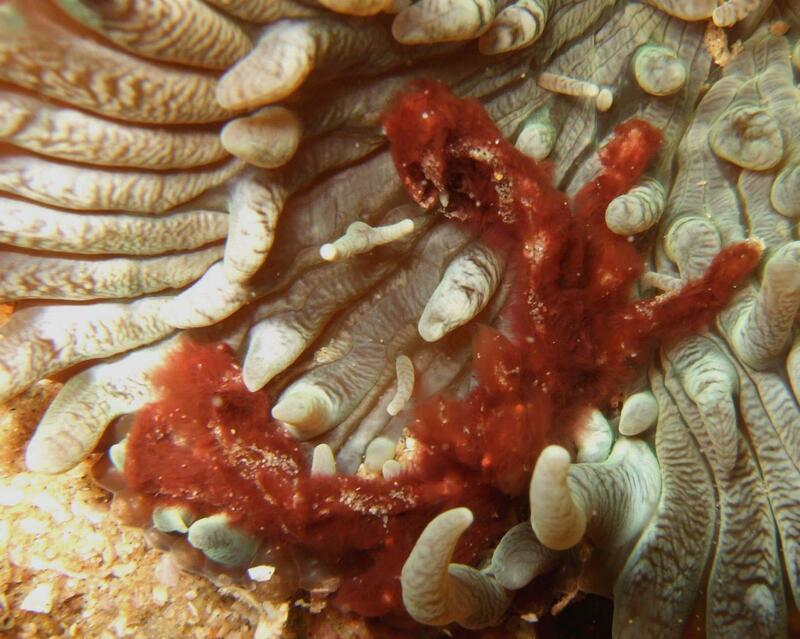 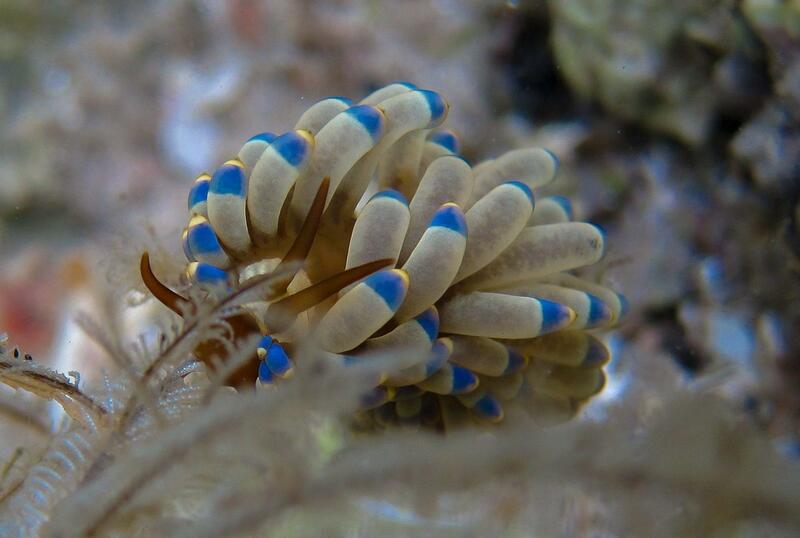 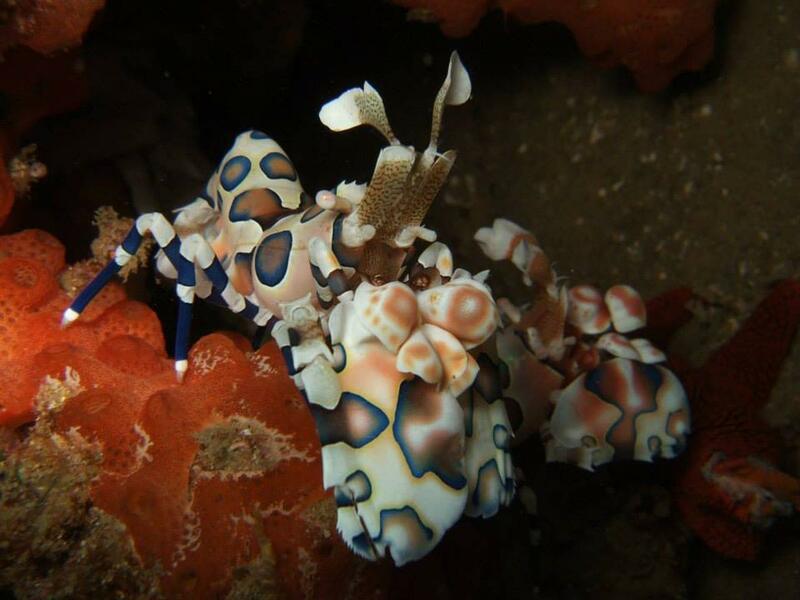 The region's diving offers healthy corals, reef fish, macro life and all the big stuff! 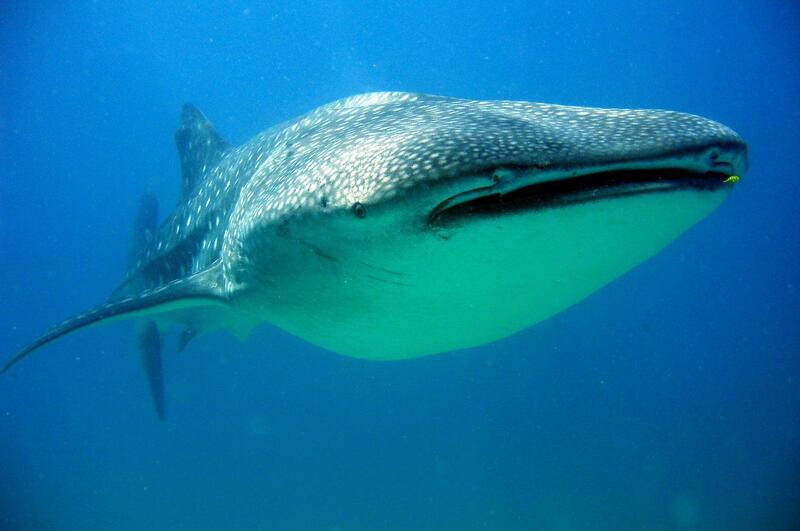 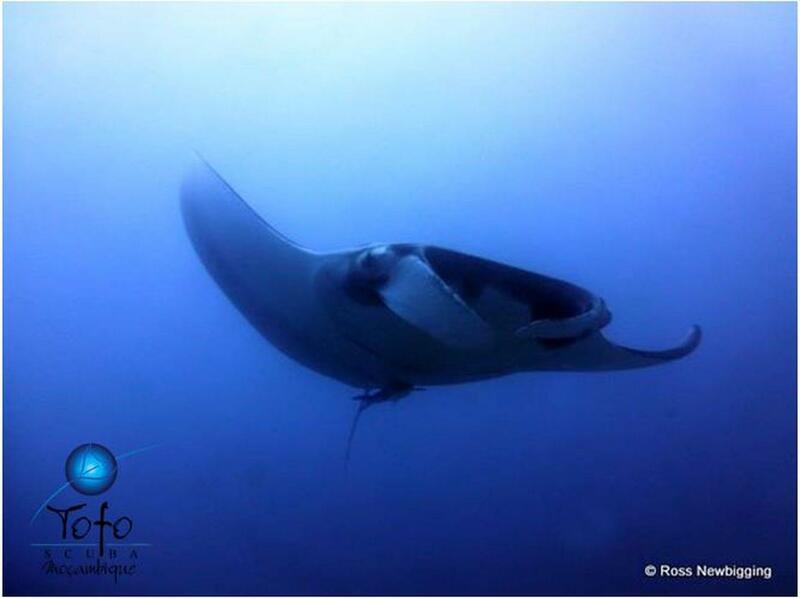 You may see humpback whales, mantas, whale sharks, turtles, dolphins and rays during a week's worth of diving here. 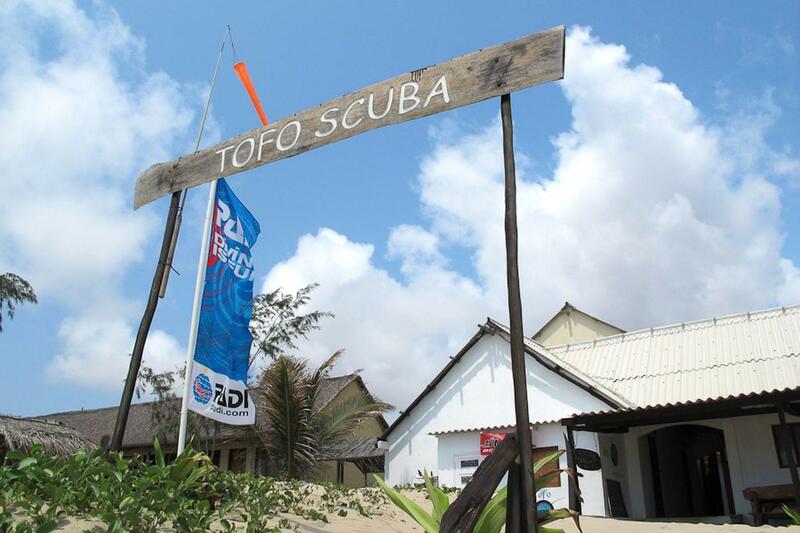 The guesthouse is next door to the dive shop, made up of 5 guestrooms. 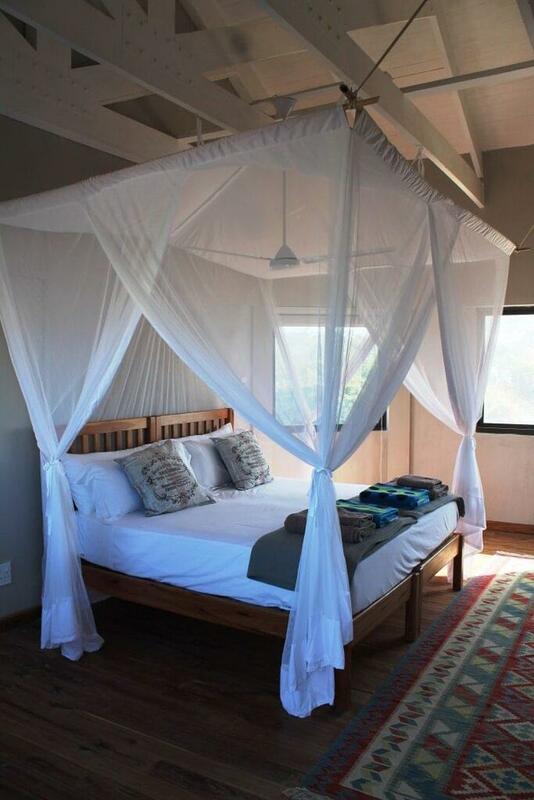 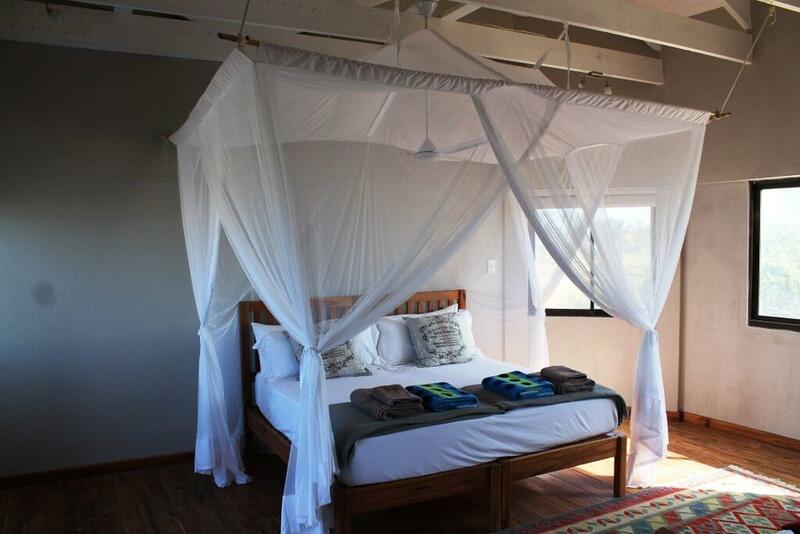 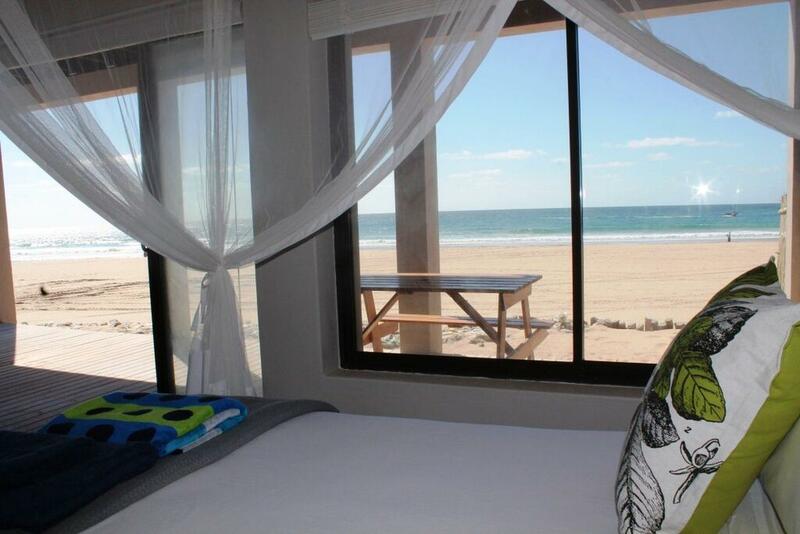 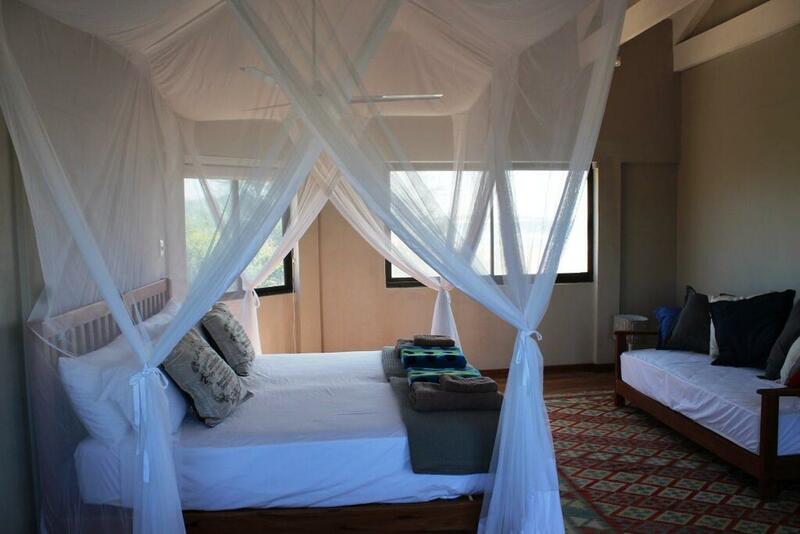 Each en-suite room has air conditioning, sea views, top quality mosquito nets and a fan. 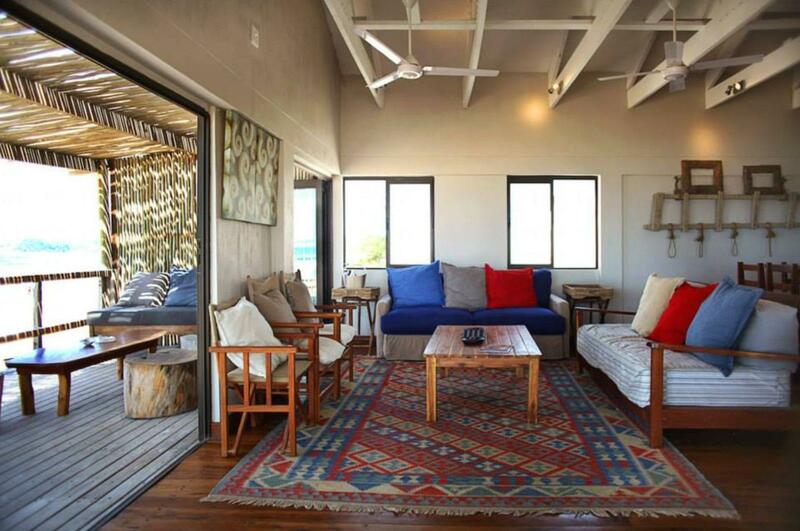 Communal areas include a lounge, kitchen, bar area and large veranda with a private swimming pool. 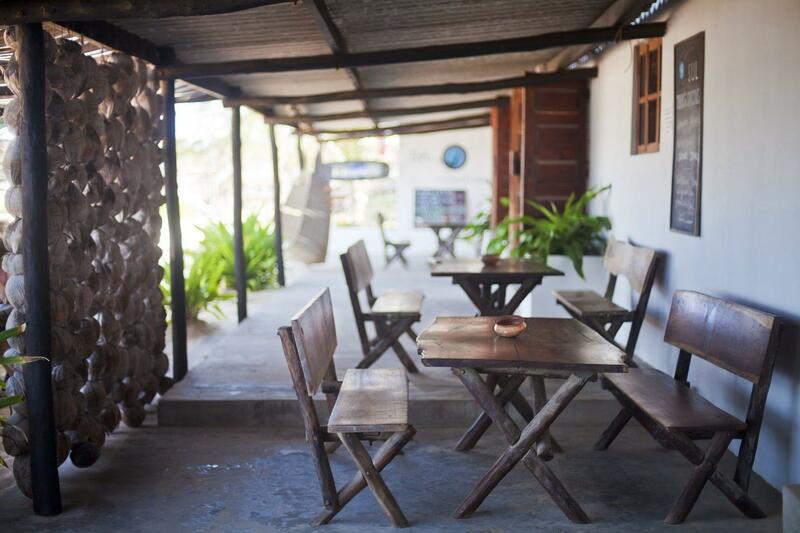 The local village is nearby, with a market and various bars and restaurants. 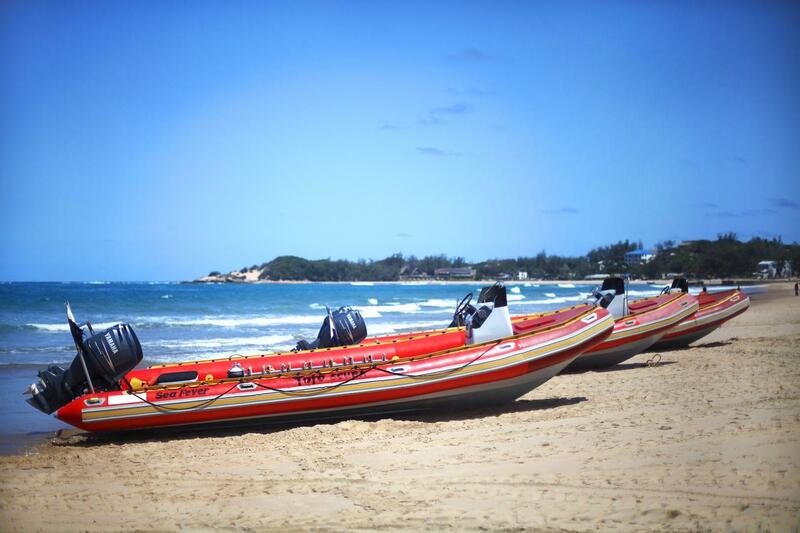 The Agulhas Current passes through the coast off Inhambane and Tofo and this brings about plankton rich waters. 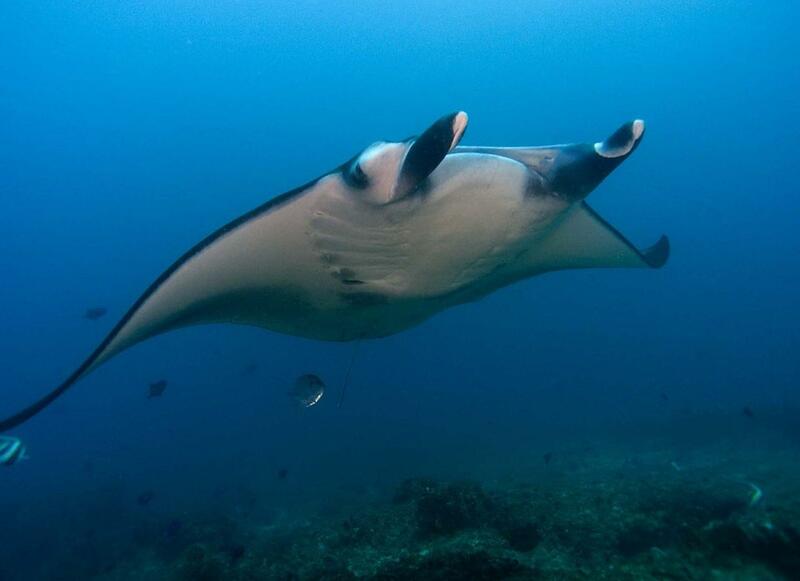 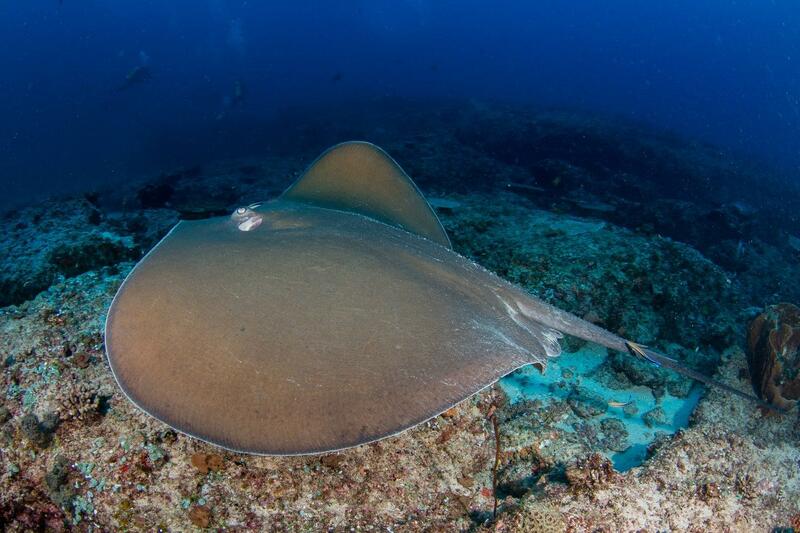 As such, whale shark and manta ray sightings are almost guaranteed here and you might even spot the great oceanic manta rays which come by to feed and clean. 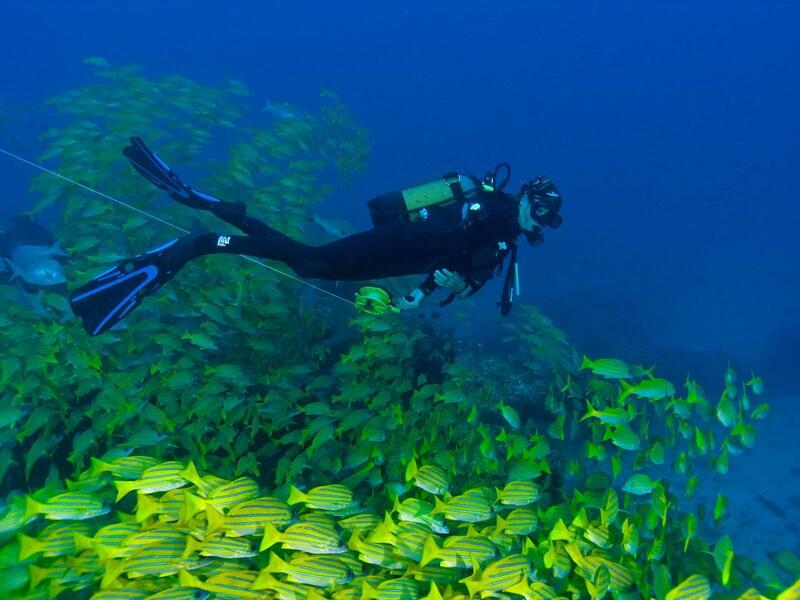 Cleaning stations are filled with lyretail anthias, cleaner wrasse and butterflyfish. 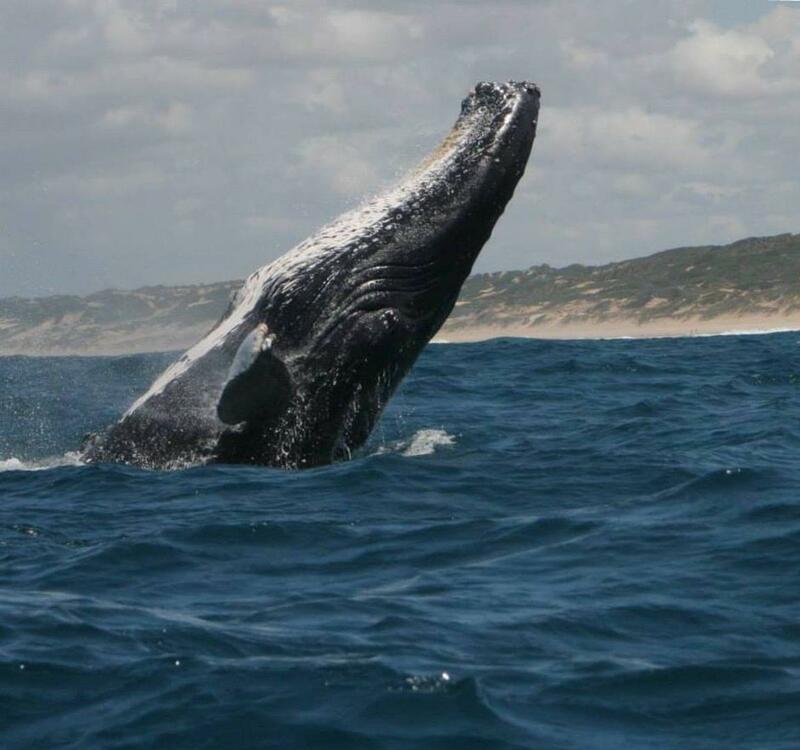 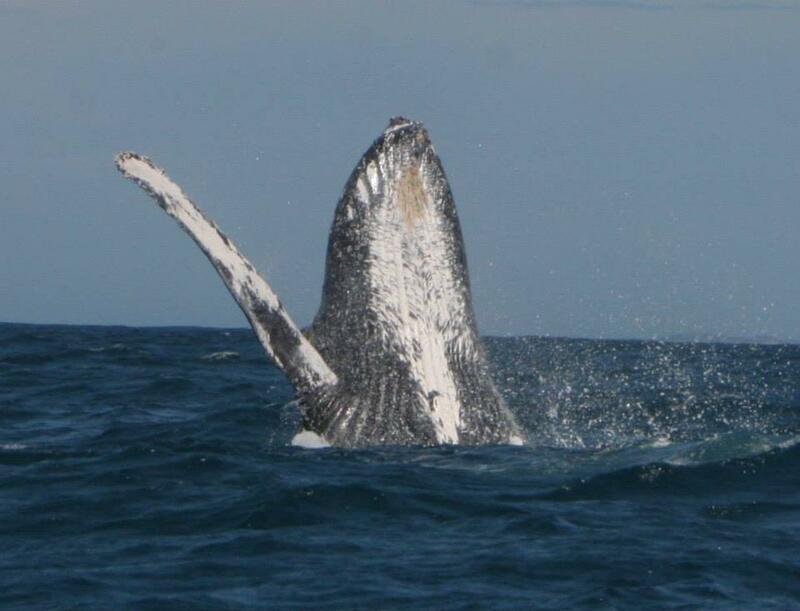 Migrating whales also travel along the Agulhas Current which is why there are chances to see the likes of humpback whales off the coast from June to November. 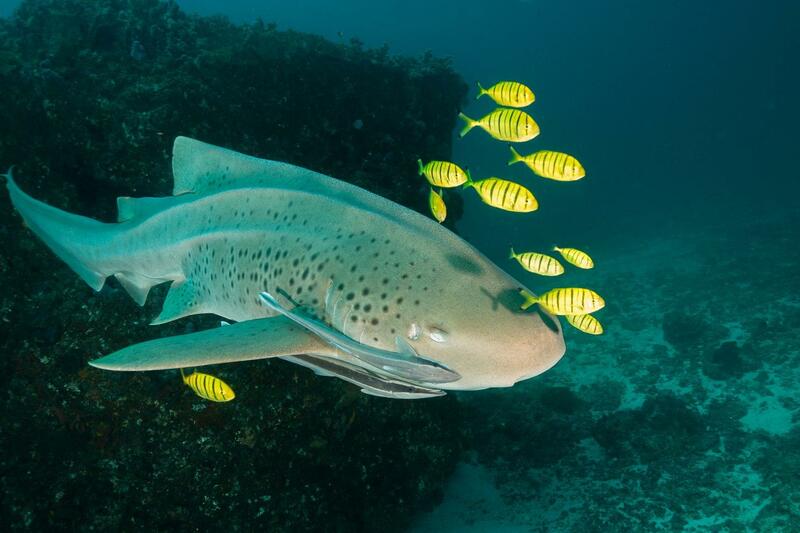 At the outer reefs, sharks are quite plentiful with whitetip sharks, blacktip sharks, leopard sharks and if you are lucky, hammerhead sharks. 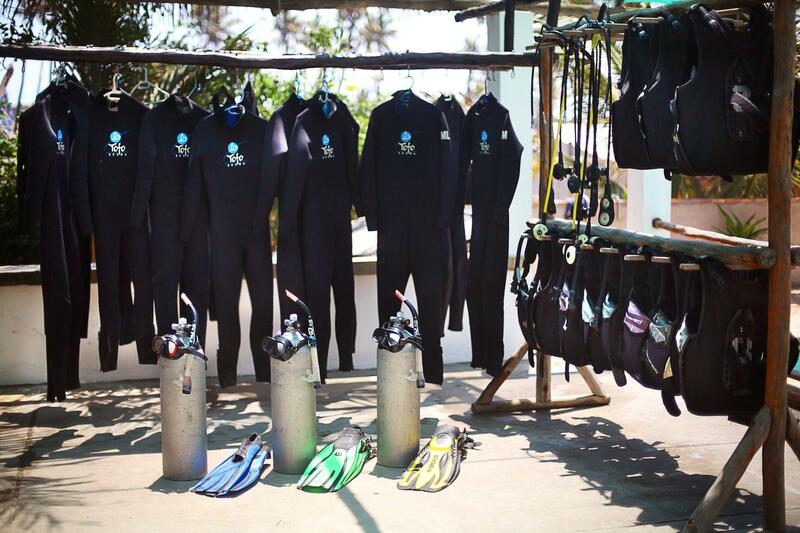 Besides that, consider it a lifetime opportunity if you manage to dive with a dugong but otherwise the reefs and walls have plenty to offer. 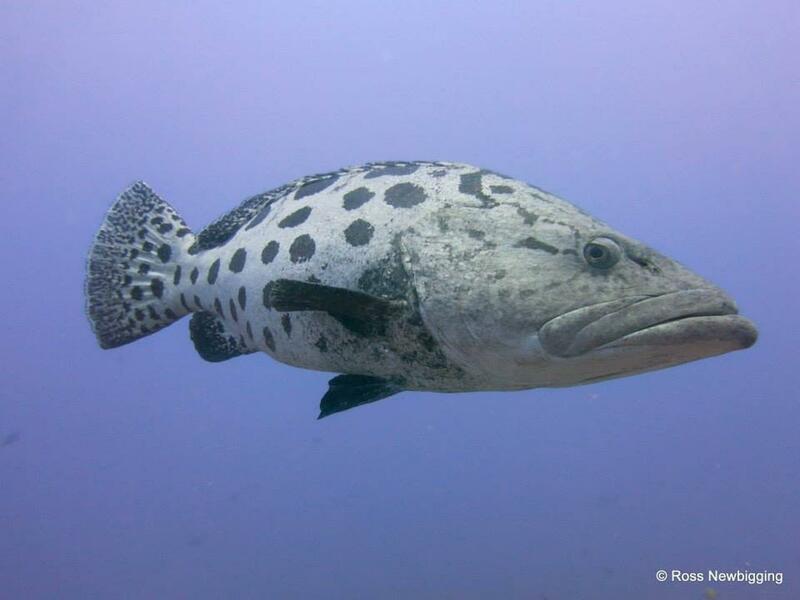 These include great personalities of the humphead wrasse, giant grouper and potato cod. 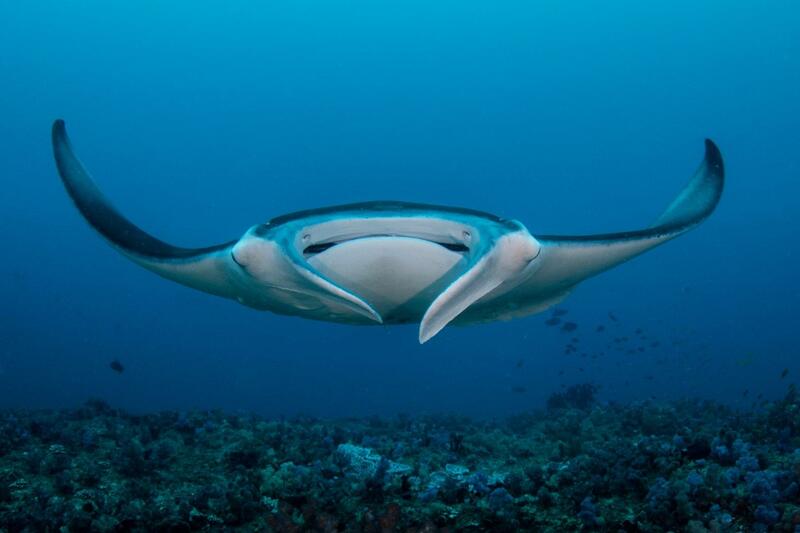 There are also green sea turtles and the rare loggerhead sea turtles. 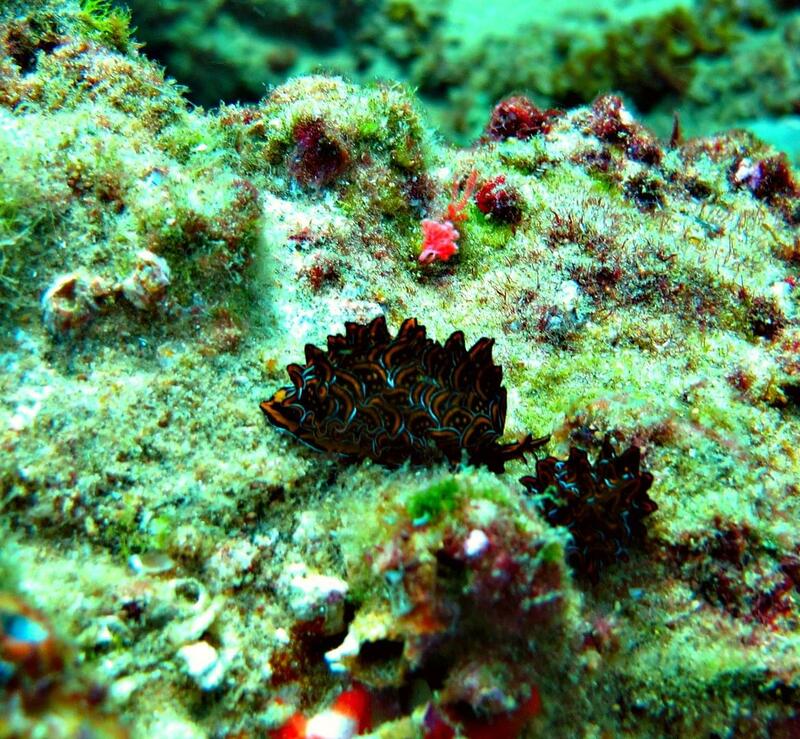 Smaller critters like moray eels, seahorses, garden eels, and scorpionfish are also a delight to find. 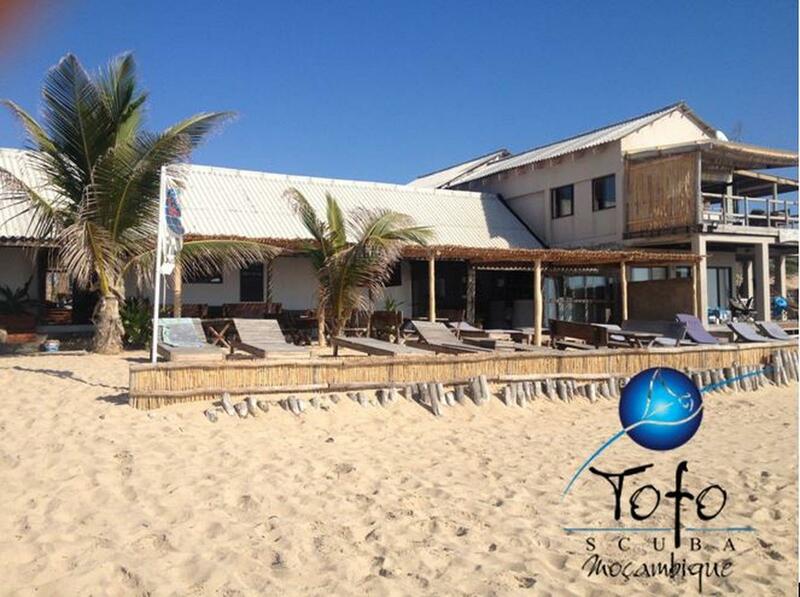 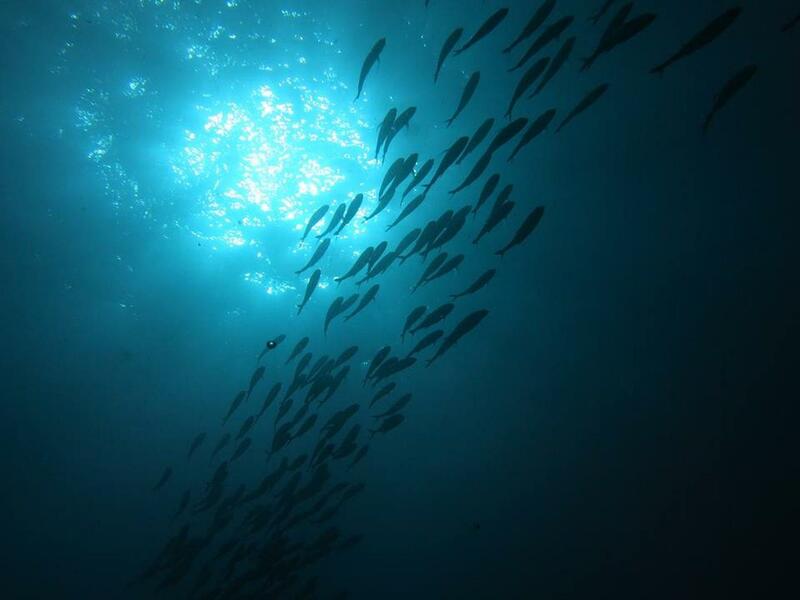 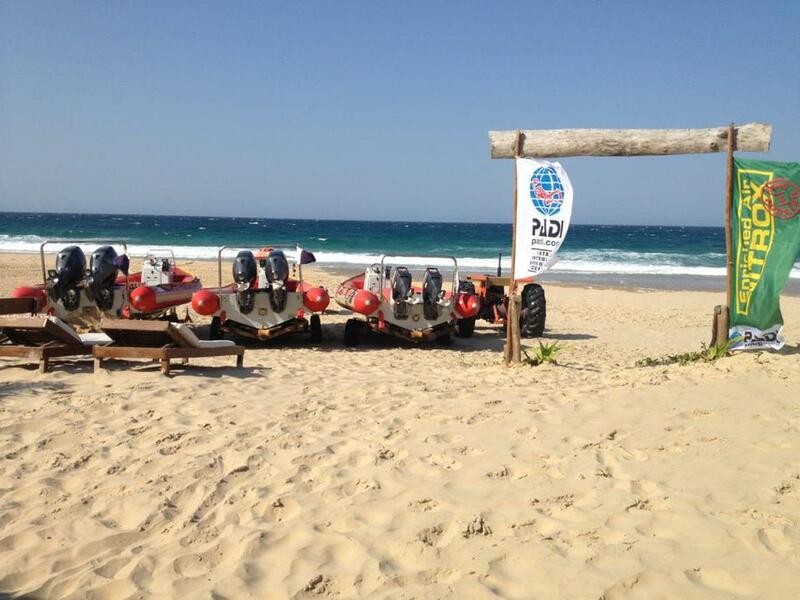 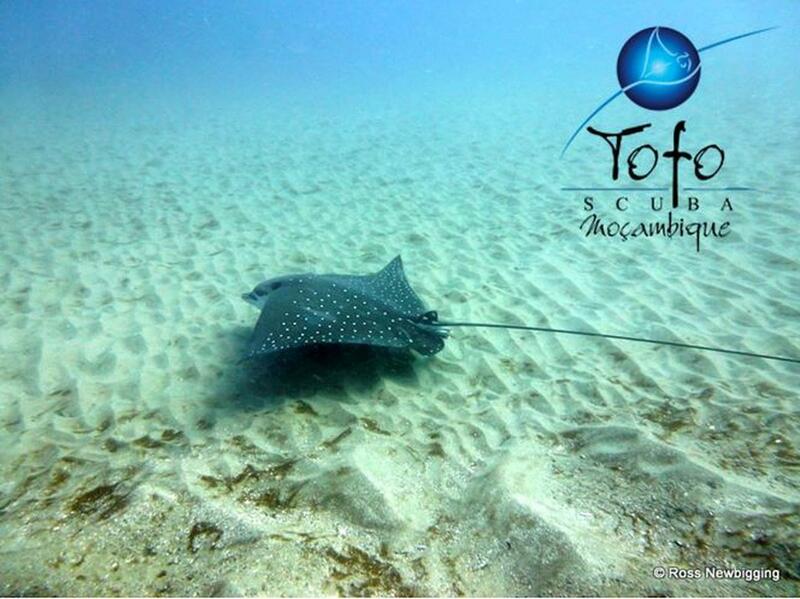 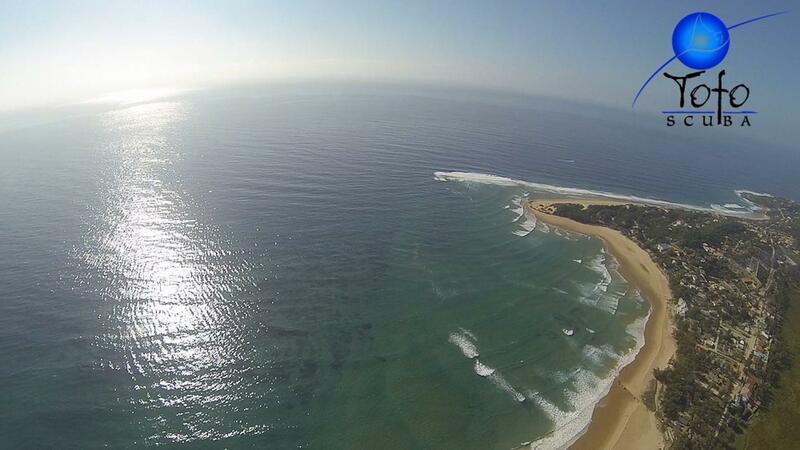 Tofo Scuba is Mozambique's longest operating dive center, and it's right on the beach! 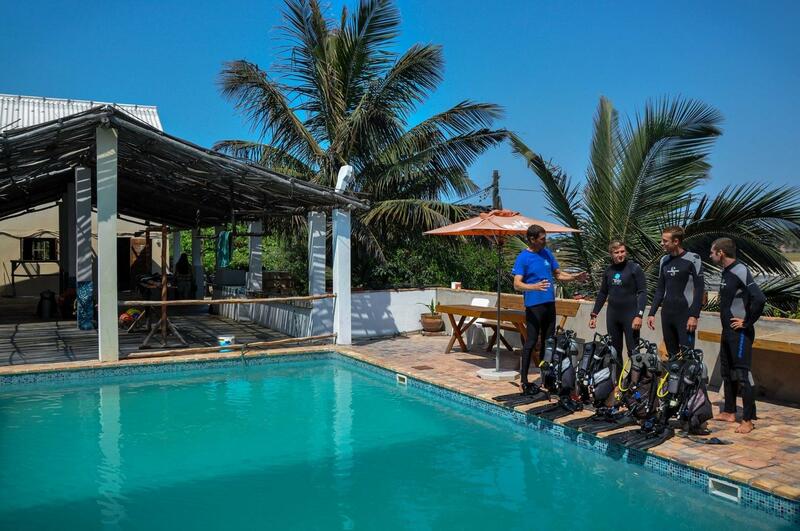 All dive and snorkel safari trips set off in one of three 8.3 meter semi-rigid superducks powered by twin 90 suzuki four stroke motors. 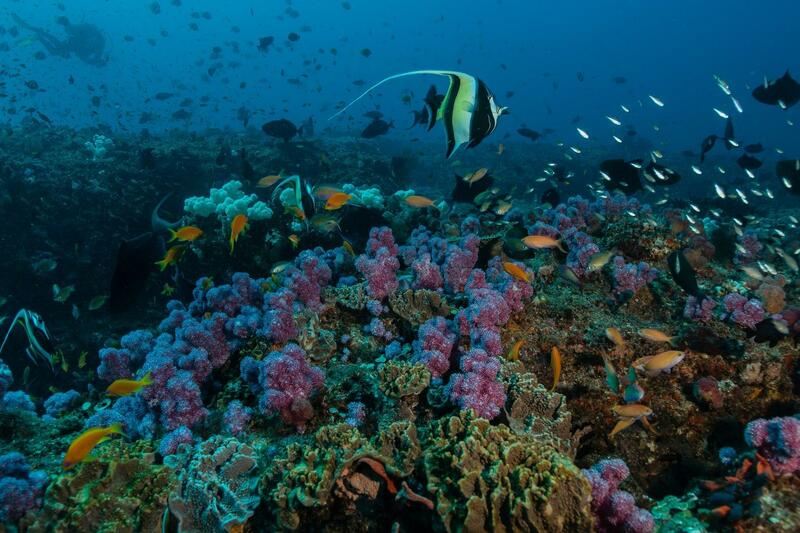 Dives usually take place at any of the 16 local reefs, frequented by large and small marine life. 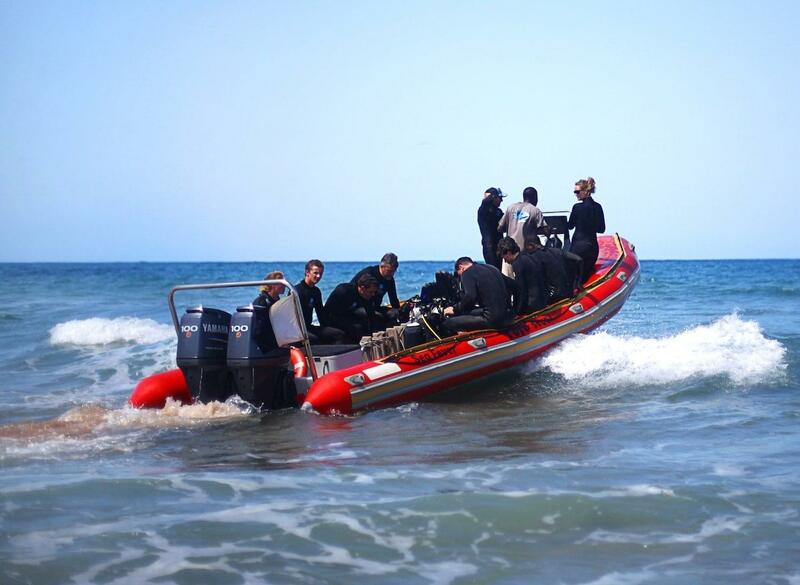 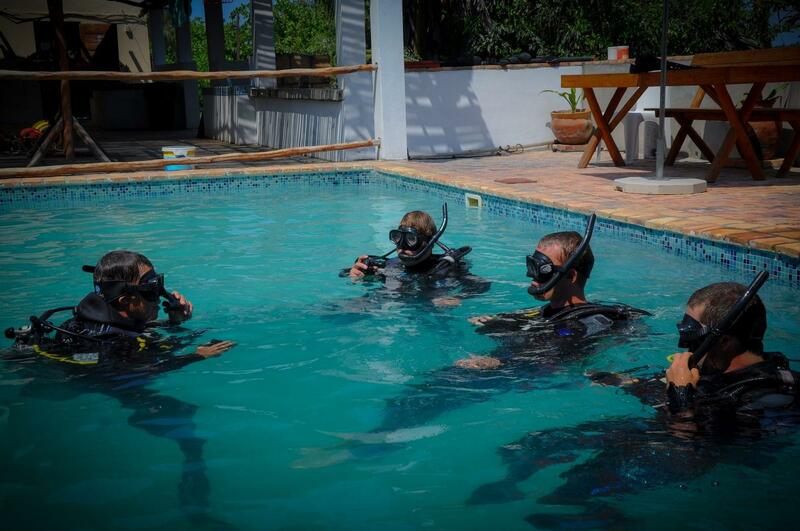 The dive team is made up of qualified and experienced boat skippers, PADI instructors, divemasters and divemaster trainees. 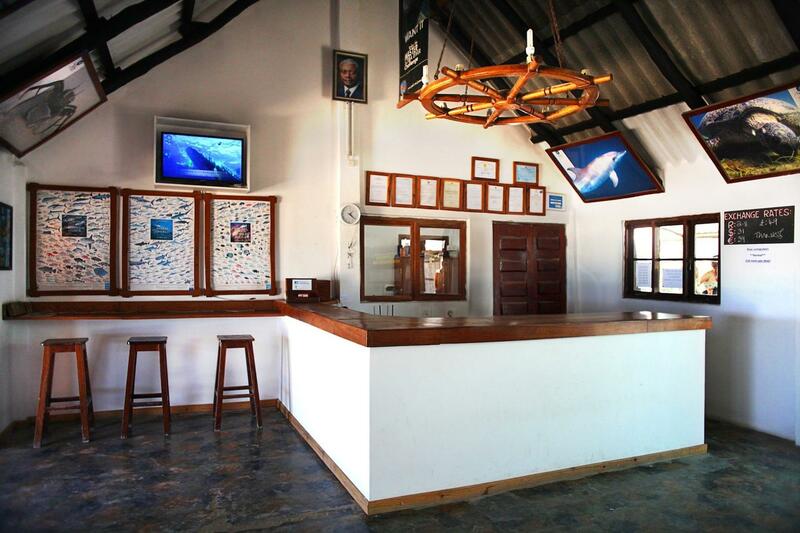 The dive shop has a fully stocked bar and restaurant. 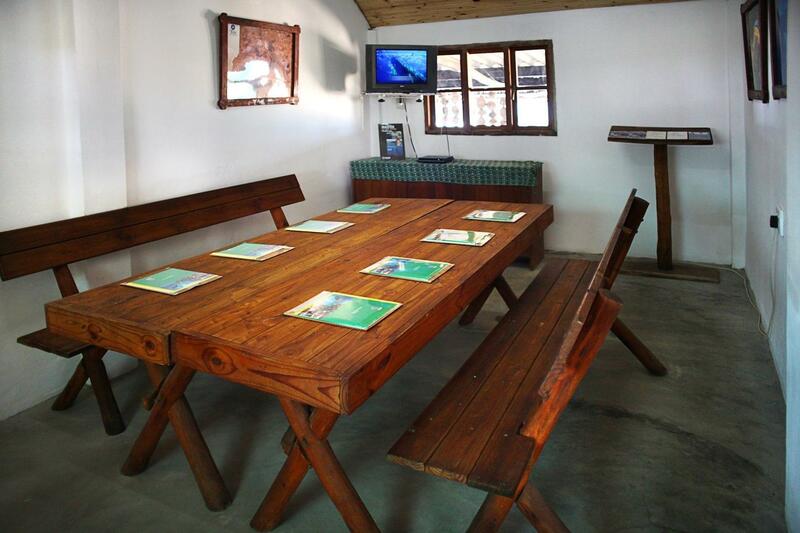 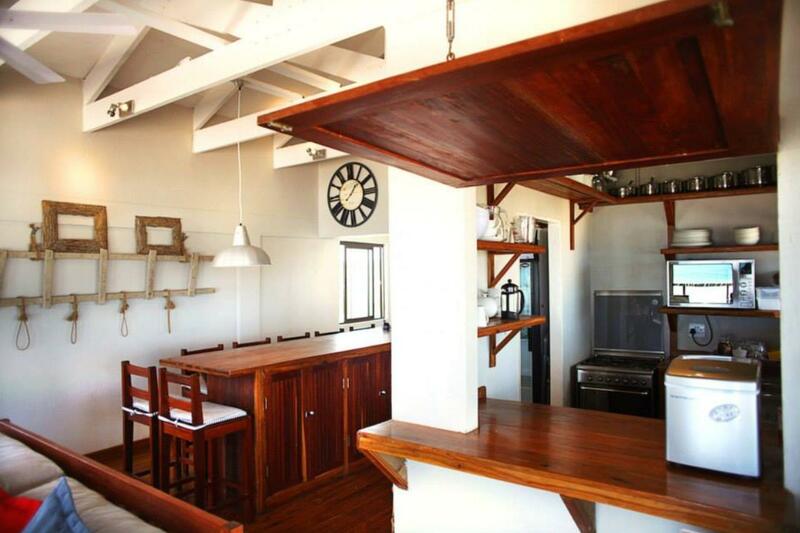 With accommodation to either side of the dive center, it is convenient to enjoy a meal or drink post dive. 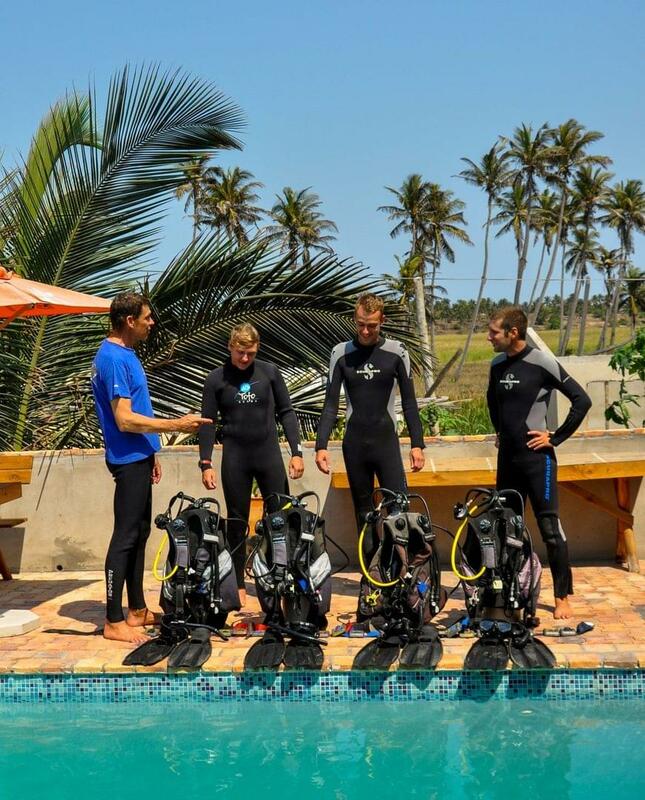 Firm believers in continued education, Tofo Scuba offer a full range of PADI training courses including Nitrox certification. 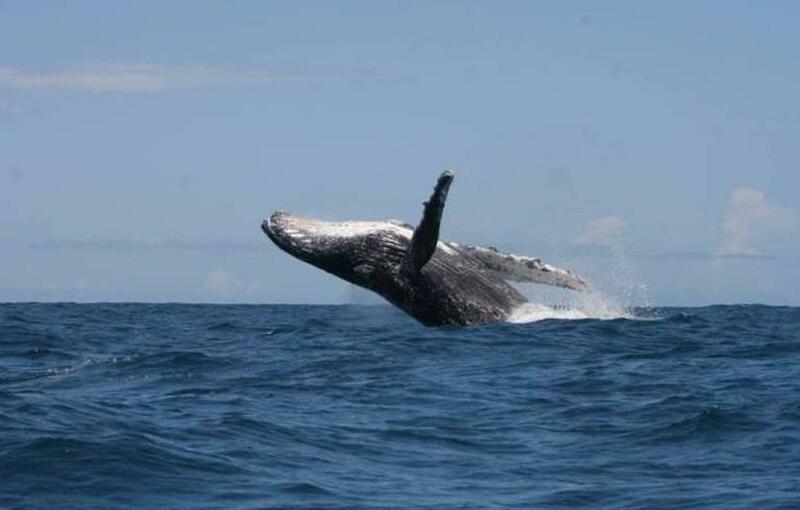 Whale watching trips are available. 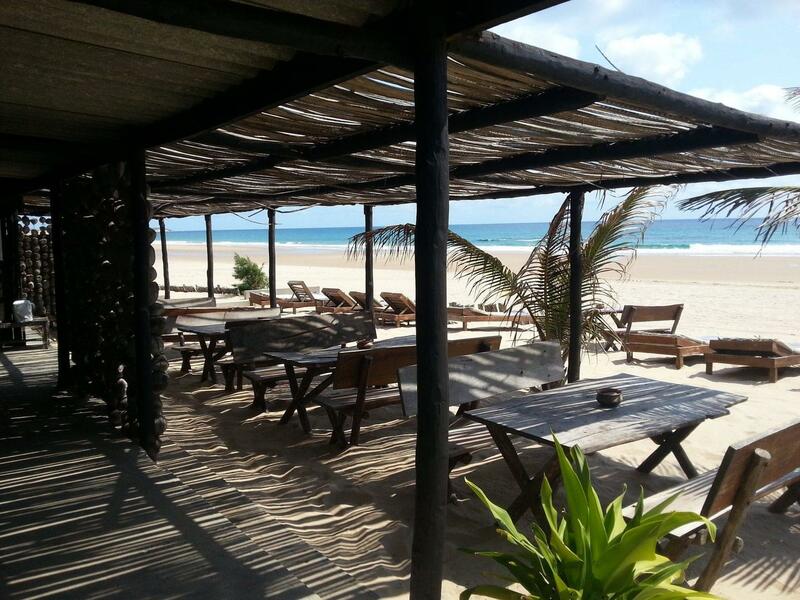 By plane: You can fly to Vilankulos which is approximately 4 hours' drive from Tofo or the local airport (Inhambane) which is 25km from Tofo. 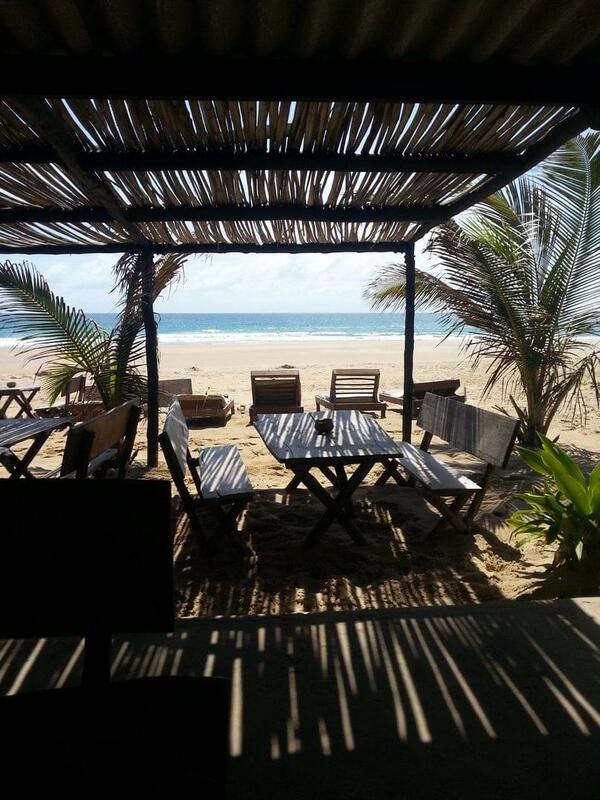 There are daily flights to Inhambane from Johannesburg and Maputo. 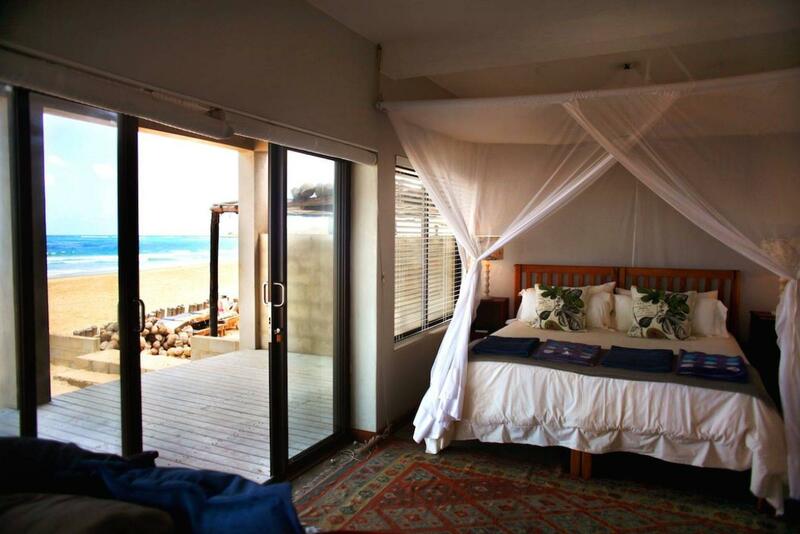 Transfer can be arranged for an additional charge. 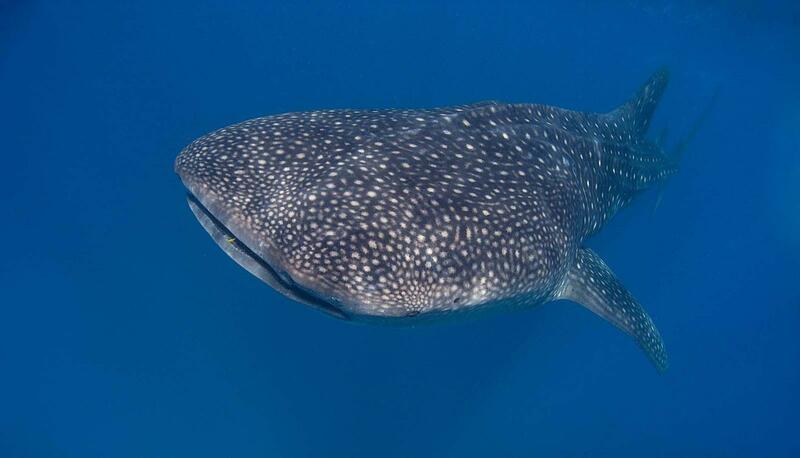 By car: The drive is quite straightforward but it's important that you drive in the daytime because there are no street lights and it makes it very difficult to see people, animals and potholes! 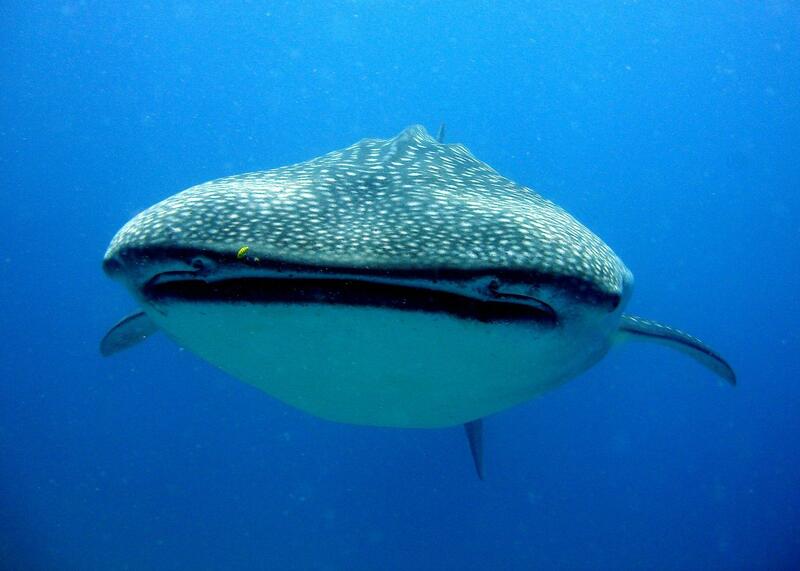 If you are driving you'll need to make sure you have your driving license, car papers and insurance. 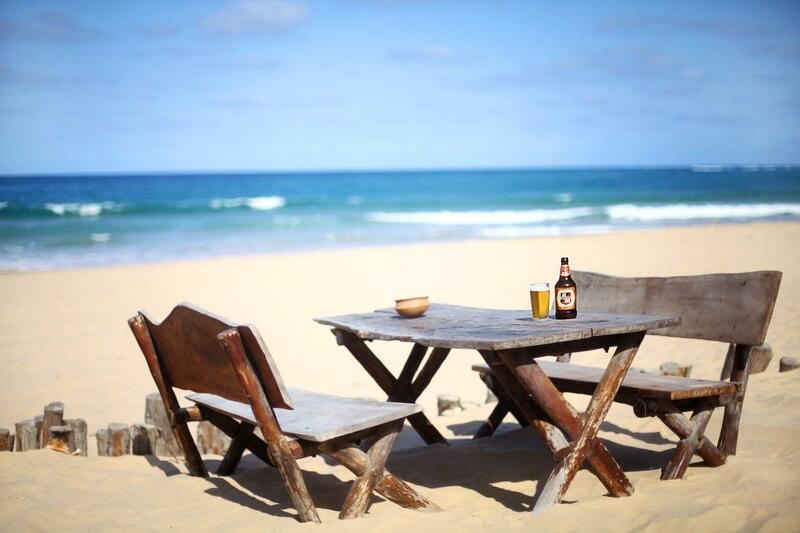 You should join the DriveMoz Facebook group before travelling. 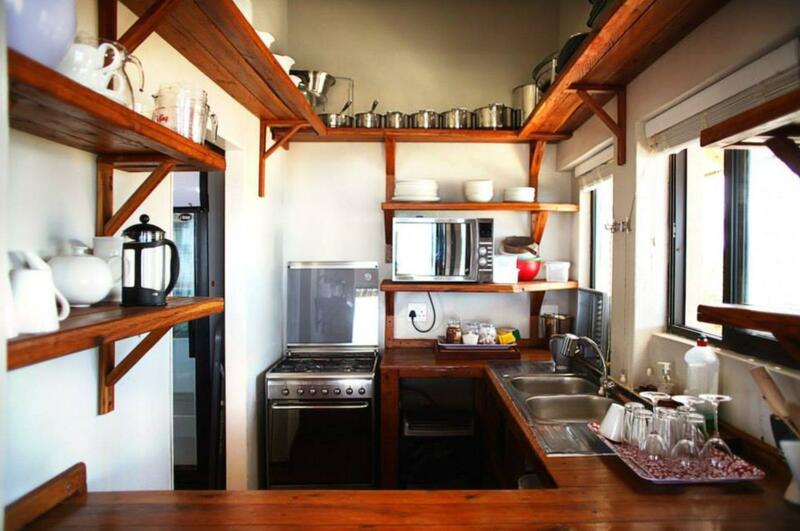 By bus: There are a couple of operators from Maputo but the most common is the “Fatima’s Bus” which takes about 9-10 hours from Maputo and runs daily. 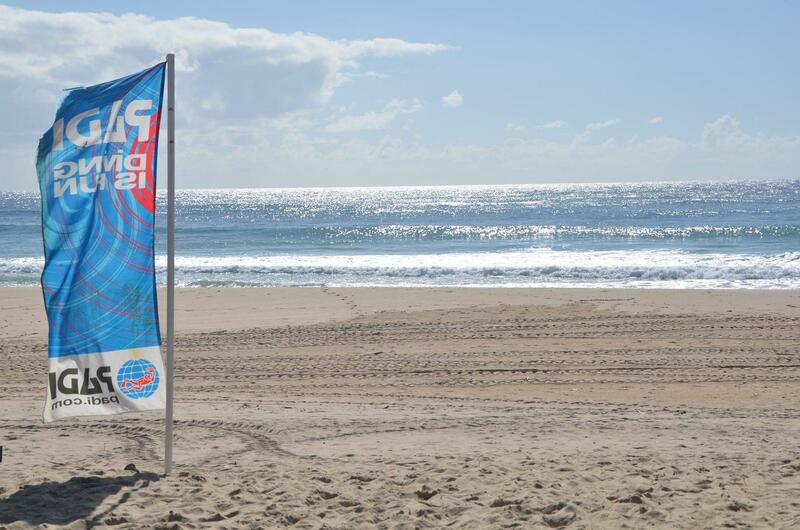 You can return via bus, plane or car via the same routes as your arrival.